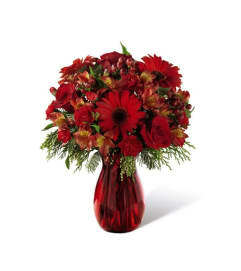 A soft, charming, and stylish flower bouquet, this arrangement exudes warmth and light in celebration of Hanukkah helping you celebrate with those recipient's close to your heart. 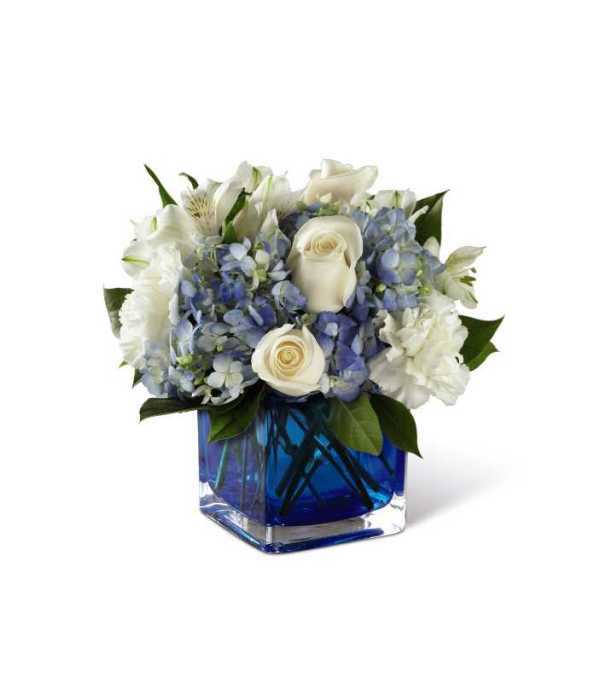 Clouds of blue hydrangea standout amongst the clean white of roses, carnations, and Peruvian Lilies accented with lush greens while seated in a modern blue glass cubed vase. A memorable way to spread peace, light, and love throughout the this festive holiday season!